The new novel from the author of the bestselling anthology Horror Stories. The Dolobs are real. They are a despicable race of unknown origin, whose skin color is “darker than the Indians and lighter than the Chinese”. Tan Sri Ismail Ismail aims to become Malaysia’s richest man. Like other locals, he hates the Dolobs. One day, he fires his office tea lady, Lani. In revenge, Lani, with the help of a female shaman, places a curse on him. He suffers a stroke but survives only because he is building a dam in the valley where the shaman lives. She wants him to delay the dam’s construction. The tycoon agrees, but on one condition: she must kill Lani. To ensure he carries out his promise, the shaman secretly lures his jewelry-obsessed wife and two sons to the valley. Accompanying them are her handsome driver, a stockbroker and his spirit girlfriend. 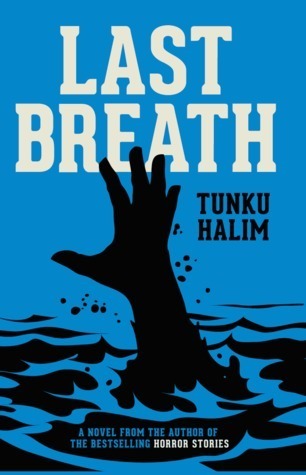 Last Breath serves alternate history, magic realism and gothic spooks with a healthy dollop of satire.